At the October State of the University address, Dr. Stuart R. Bell, president of The University of Alabama, presented the Crossroads Community Engagement Center with the Sam S. May Commitment to Service Award for its contributions to campus diversification. The annual award recognizes a department, office, team or center that provides exceptional service to students and community members through commitment, innovation, creativity and continuous improvement in human relations. The award is named for Sam S. May, who served as a custodian in the chemistry department and learned the subject matter form instructors during his lunch hour. With the knowledge he acquired, he would go on to tutor students and help with research projects. May was presented an award for his service to students and faculty, and he is listed in The University of Alabama’s Pictorial History. 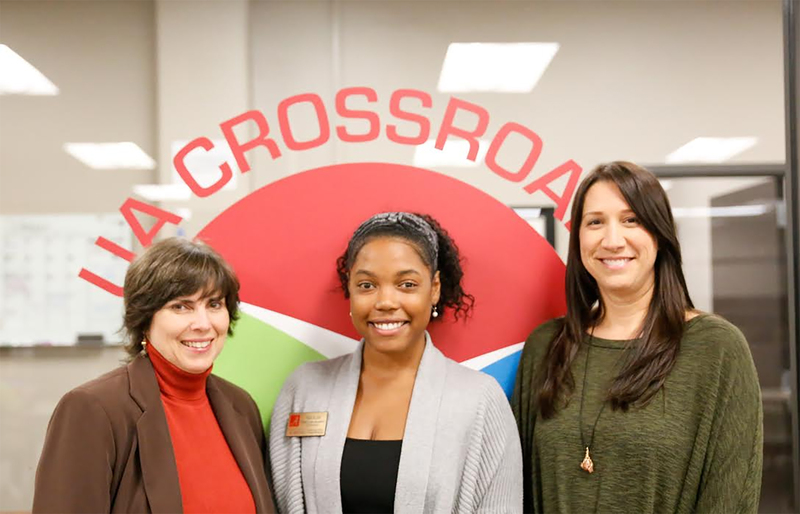 Crossroads provides resources and education on diversity and inclusion through intercultural engagement programs and training. The Center has been supporting students, faculty, staff and partners around since 2012. They have generated programs to promote engagement, helping to cultivate a campus for everyone that is inclusive and diverse. Major programs include Practicing Inclusive Engagement, Sustained Dialogue, Better Together Interfaith Initiative, Heart Touch and Get Involved. Crossroads is also known for making space for people to come and share their experiences, from different perspectives, different social identities, the kinds of things that people don’t often have a place to talk about in respectful and civil ways. “On every Wednesday, in Ferguson Center hall, we provide an opportunity for people to talk campus issues or national issues, and we moderate those in a way that everyone is heard and respected,” McLelland said.